The flower is set with a 0.20ct Round Brilliant Diamond in a smooth rub-over setting. The flower petals are sand blasted for a matt finish and has a highly polished band. 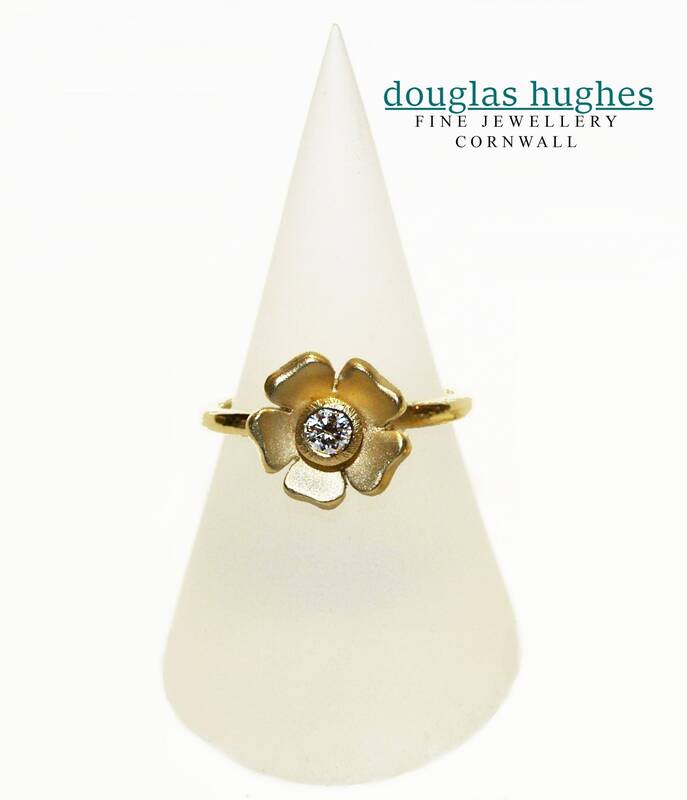 Original Douglas Hughes Design - gorgeous 'wear anywhere' ring!